As a well-established staple on the iGaming calendar, it is unsurprising that the interest from the iGaming industry has been intense. In 1 week time the super-show plans to welcome 12,500 guests, including 400 sponsors and exhibitors and 200 speakers through its doors. To keep pace with demand, the sold-out MFCC floor space has been expanded and an extra day added to the Summit dates – SiGMA will run from the 28th until the 30th of November and will be held at the MFCC, Ta’ Qali. 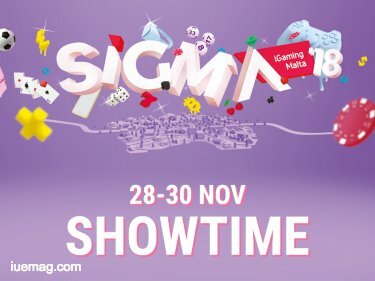 SiGMA will also be bolstered by a glamorous evening on the 27th - the iGaming Awards will seat a 1000 guests and pay tribute to companies who are shaking up the industry in Malta. Elevating the charitable event is Her Excellency, Marie-Louise Coleiro-Preca, President of Malta and tenor Joseph Calleja, one of the most recognisable faces in the opera world. Starting on the 28th of November, the Regulatory Conference will cover important aspects of Malta’s iGaming Act, as well as iGaming Law in a broader sense - including its influence on sister topics, such as AI. The Conference will feature prestigious speakers, such as Heathcliff Farrugia, CEO at the MGA, AI guru, Angelo Dalli, and an introduction from the Honourable Joseph Muscat, Prime Minister of Malta. Any facts, figures or references stated here are made by the author & don't reflect the endorsement of iU at all times unless otherwise drafted by official staff at iU. This article was first published here on 20th November 2018.